I come from a family of teachers. Both of my parents, my sister, my uncles and aunts are teachers. My mom and dad have now been teaching for over 20 something years, I believe. They were born to educate kids, they are so good at it and I'm proud of them. 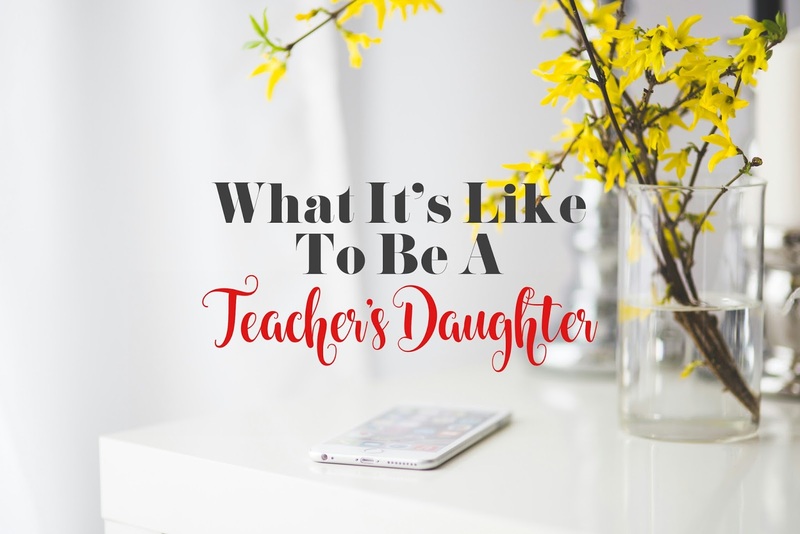 So, what is it like to be a teacher's daughter? I attended the primary school where my parents taught. I used to came in early with them every day for school. I stayed late every day and had to wait until their works are done. I did a lot of 'site visit' of the buildings in school just so I can shake the boredom off. And I also spent most of the time reading my mom and dad's confidential letters, documents, just bunch of things that I probably shouldn't read. I'm rebel liddat. I surprisingly can recall each and every bits of moments like it's in the back of my mind and I loved every single thing of it. 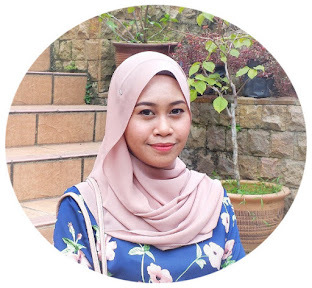 Being a teacher's daughter, I have seen lots of adults approach my parents in the supermarket, shaking hands, hugging them and telling their children that my parents were one of their beloved teachers. These small acts never fail to amaze me. It's somehow tempted me to become a teacher myself but being the hot temper that I am, better not. I have had a lot of people asking me "Do you want to be a teacher just like your parents?" so many times in my life but I don't know. It feels like a huge responsibility and I don't know if I can pull it off successfully. And I have been told many many times that I have that potential to become one. I like spreading knowledge and new things to people but to educate them, man I have no idea. Being a teacher's daughter, school starts to feel like home. I like the fact that my school feels like my home. Spending countless times after school and I lost count to the number of times I spent running around the empty school. Having to address my parents as 'Sir' and 'Ma'am' throughout the working hours. I hate those working hours. Being a teacher's daughter, I did the same homework everyone else did. I spent the similar amount of time on my homework just like everybody else. No cheating. My parents didn't practice those acts. Doesn't mean I'm a teacher's kid, I automatically dismissed from doing homework or such things. Being a teacher's daughter has its perks and flaws. At times, it can be a little too frustrating and a little too incredible all at the same time. I have heard all the gossip at the dinner table. I have all the access of information about the school; bratty kids, unreasonable parents, unresponsive administration etc. It felt like a behind-the-scenes all of the sudden. Being a teacher's daughter, I was inevitably have to hear other kids bad-mouthing and complaining about teachers, how boring and strict they are. Man, kids sometimes can be too harsh. But whatever, my parents are fabulous of what they do. Being a teacher's daughter, it wasn't all the educational lessons my parents have taught me in the past that made me where I am now. It wasn't all the extra lessons or extra books that my parents were able to get their hands to. It was the lessons they taught me at home, the lessons they learned from observing other kids. At the younger age, my parents taught me to be kind, to share, to be disciplined. As I grew up, they still do same but in a different way. They don't teach me as if I'm a little kid because I'm a grown up and I know what's right and what's wrong. I watched them spent hours and hours working at school, they would come home late from work every day, completely exhausted, carrying lots of bags and folders but still managed to bought food with smiles on their face. I watched them stayed up later than I did in college just to finish a single task. That my friend, I know they taught me to work hard, to have courage, dedication and determination. Being a teacher's daughter is finding the cards and gifts with messy "I love you teacher" written all over. I can't help but to shed a tear because I know my parents are making a difference in these kids' lives. Being a teacher's daughter, I had to witness loads of things good and bad that my parents did due to their passion. Even at times it didn't pay enough, but they loved it. Very much. They love what they do and they taught me to don't just give it up. Every cloud has a silver lining, they say. Being a teacher's daughter, I'm beyond proud to be one. Although sometimes it's hard having parents with a profession that doesn't have a stop but it's amazing and wonderful, still. It's not easy for them, but they would never want to be anything else because they were born to be a teacher for a reason. The things that teachers teach us, the support and advice that they give, can truly change our lives for the better, forever. I love you, Umi and Abah. Both my parents are teachers too but primary school so they experience wasn't as rich as your but fun yeah. My father got retired early though. He loved his enterpreneur life better but I do adore him coaching the kids in rugby. Btw, did you ever gets that "anak cikgu patotla pandai". I'm not even that pandai pon. I don't know but it's really annoying since I don't really rely on them for study because who even study during primary school? You told a great story about them though, they must be proud of you. Thank you so much, I really did this from the heart and I did get really emotional while writing it lol. AWWWW, I AM TEACHERS' DAUGHTER TOO :D High five!! I didn't know that! High five! !